This marinated Zucchini Salad is the perfect easy side dish. 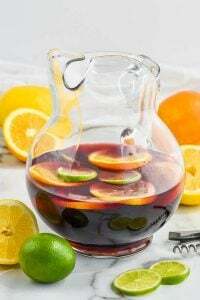 It comes together in about ten minutes and has the most delicious wonderful flavor. 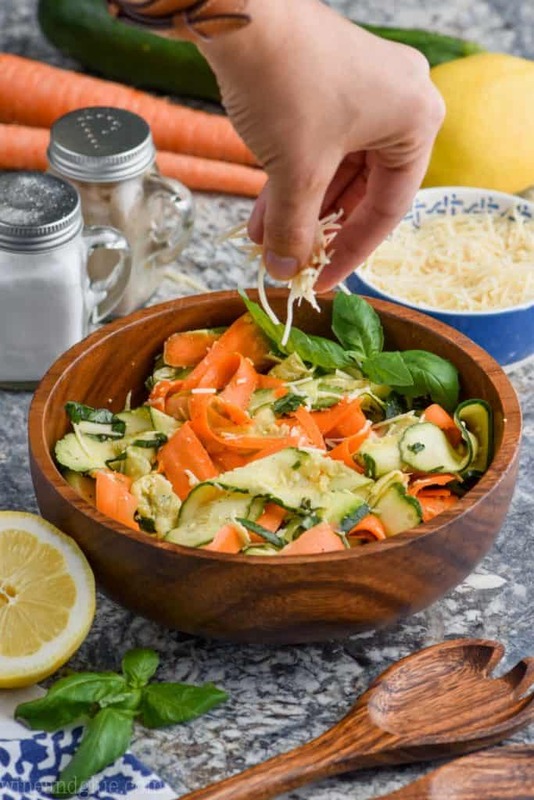 If you are looking for a great vegetable side dish that you can feel good about serving to your family, make this raw zucchini salad. Serve it along side these baked chicken tenders or this grilled chicken sandwich with some cherry limeade and you have a great dinner that screams summer! 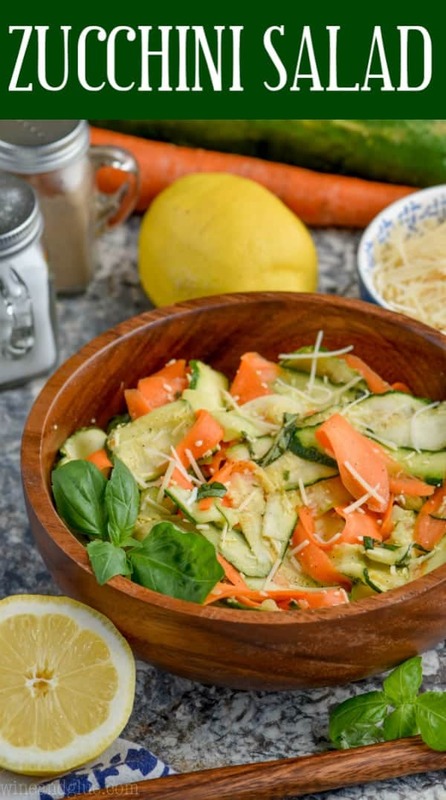 A shaved zucchini salad, doubled or tripled, is also a great dish to bring to a big family function. The other day I mentioned something about school supplies to my kids, and my oldest started bemoaning the fact that summer is almost over. I looked at him and calmly talked about how we really aren’t “almost done” with summer. It’s much more like we are half way through and there is lot’s more to enjoy . . . . and then I secretly calculated the number of days until the first day of school. ???? I saw an Instagram post from a blogger I love the other day talking about how we only get 18 summers with our kids and this is one of them . . . . holy pressure, Batman! I don’t disagree, and I want to enjoy every single second of their childhood, and I know that there is for sure something special about summer with your kids . . .
You guys, there are still the minutes that drag. The tantrums, the messes, the wanting to have patience when there just is not anymore left. Summer is long, guys. So, I am enjoying this one of 18 summers, BUT I’m also acknowledging that I’m super tired and a little ready for a regular school/work life routine again. 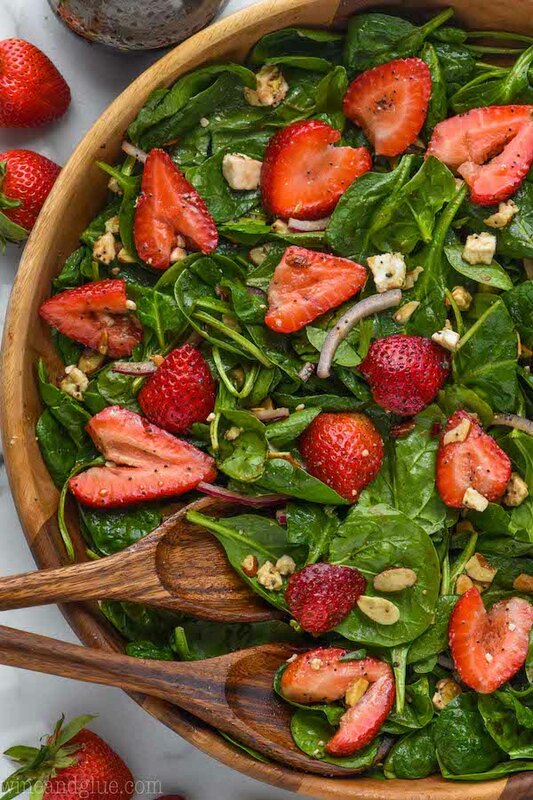 Until then, I am going to enjoy one of my other favorite things about summer (besides watching my kids run like gleeful puppies through sprinklers), the amazing produce! 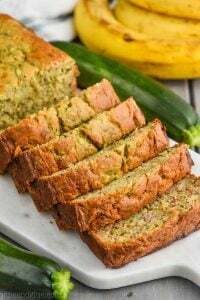 Zucchini recipes are what ya’ll want right now because I know that your gardens are bursting at the seams with zucchini, and if you don’t have a garden like me because you just can’t quite get it together, then you can find them in abundance just about every other direction you turn. 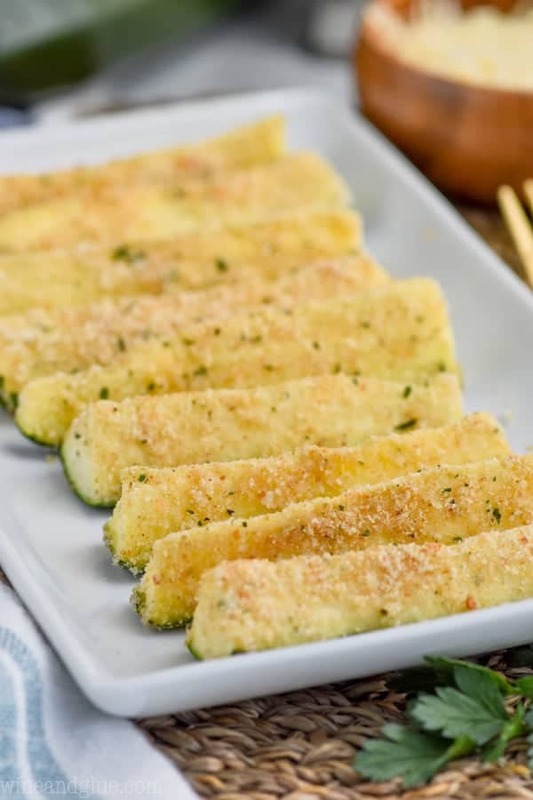 The other day I gave you Baked Zucchini Fries, which is a super delicious and easy way to give your family an easy side dish while also plowing through your zucchini stash. 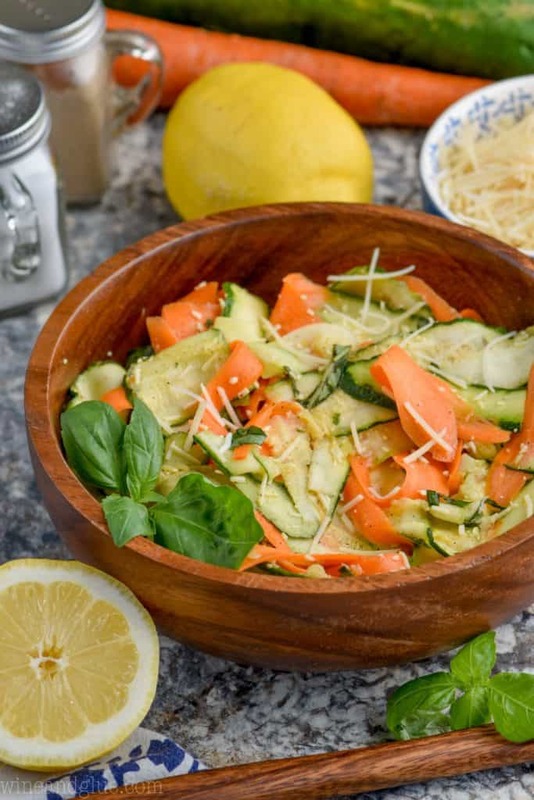 And now you get to have this amazing and delicious marinated zucchini salad! It’s so simple, but I know you guys are going to love it. 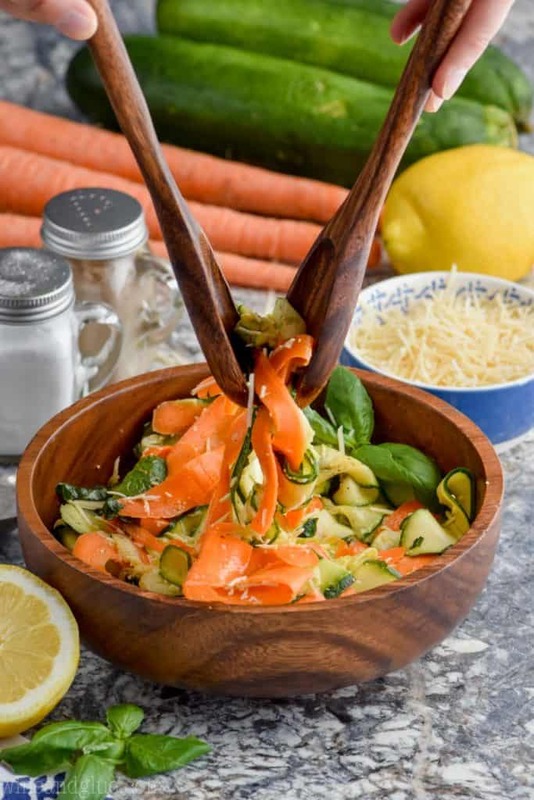 Because this zucchini salad is made with shaved zucchini and carrots, it’s got the feel of a zucchini noodle salad to it. 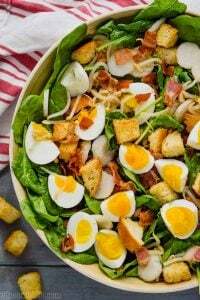 It’s made with just a few ingredients, making it so easy to throw together! Guys, I’m willing to bet you already have half of that in your house. So easy! If you are looking for more great recipes for summer side dishes, you have to try this Grilled Watermelon with Smoked Salt and Jalapeño Rings. 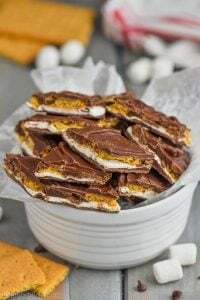 OMG, this combo of salty, sweet, and spicy sounds so amazing to me! I am a sucker for a perfect Caprese, really anything, but especially a salad. So I’m definitely making this Caprese Salad Recipe with Roasted Beets. And summer is not complete without fresh corn, so I love this Elote Grilled Mexican Corn Salad! 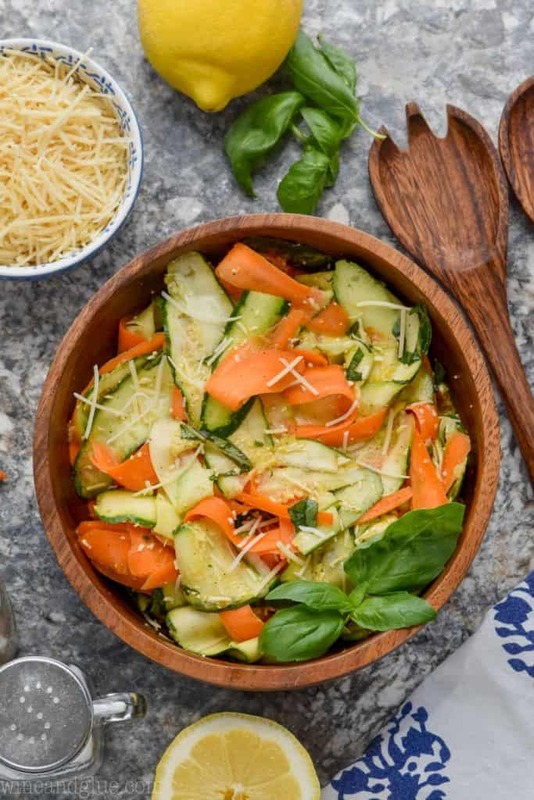 This marinated Zucchini Salad is the perfect easy side dish. It comes together in about ten minutes and has the most delicious wonderful flavor. 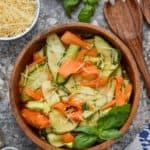 If you are looking for a great vegetable side dish that you can feel good about serving to your family, make this raw zucchini salad. 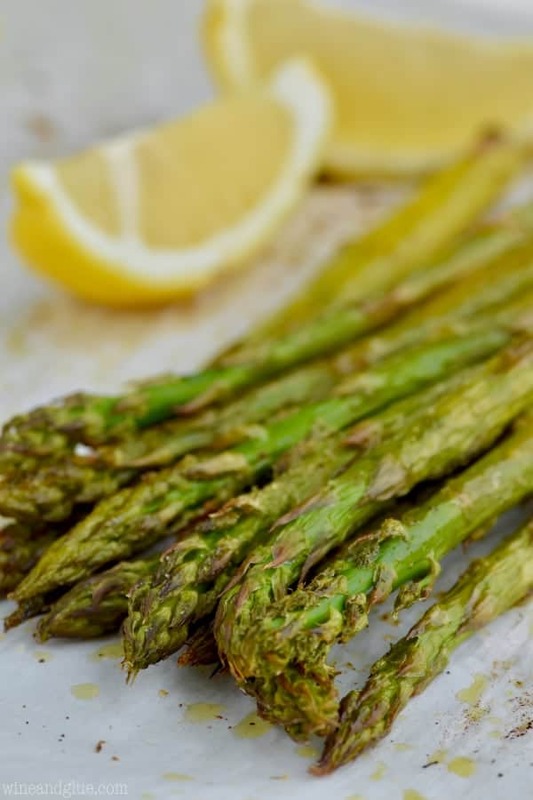 Place in the refrigerator, covered, and allow to marinate for at least a half hour or up to 24 hours.